Tool Length: 9-3/4 Blade Length (In. ): 1-1/2 Direction Or Type Of Cut: Straight, Left, Right Cutting Capacity: 18-Gauge Low Carbon Steel Handle Color: Yellow. Offset, left cut, aviation Snip, snips provide the following: blades are austemper heat treated for a hardened cutting edge that outlasts all others, hot drop forged molybdenum Alloy steel blades are virtually unbreakable with long lasting edge life, unbreakable double overwind spring is guaranteed forever, heavy gauge steel handles maximize force into cutting power at blades, soft & durable copolymer grips won't twist or wear through, ergonomically optimum 5.5", 140mm handle opening, full length to point cuts up to 18 gauge crsm or 22 gauge sssm with less than 80 lbs, 36 kg of hand pressure, blade serrations per inch 2.54cm grip without slip or scar, grade 8 hardened center pivot bolt threaded into back blade maintains adjustment for optimum cutting. Offset long cut aviation Snip, forged blade, forged Glide tech blades provide long cutting life with sharpest blades, wide blade opening, 3" length of cut & optimal 40 serrations per inch to bottom blade for secure grip of irregular surface materials such as ribbed metal roofing & siding, vinyl siding nail lip, cushion grip handles, meets or exceeds all ANSI requirements. The Goldblatt glass tile nippers are used for nipping and shaping glass tiles. They have two opposed carbide scoring wheels and Pro-Grip non-slip handles. 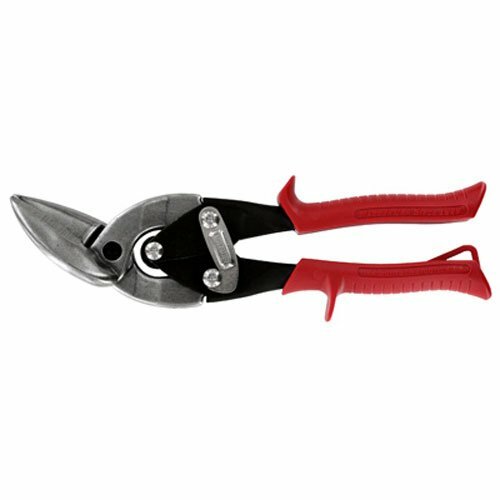 Long Straight Snip - Tempered Steel, Blades, spring and handle coated to prevent rust. Ergonomic grip. Non slip serrated jaws. Cuts straight lines easily. Cuts tight curves easily. Durable build quality you can depend on. Cut copper, aluminum, and steel wire, metal bands, and small nails with the TEKTON 11 in. 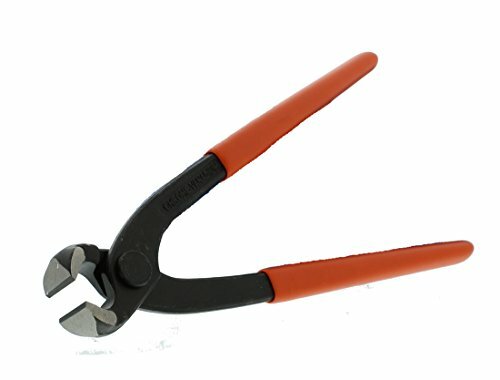 30-Degree Offset High-Leverage Cutting Pliers. Offset to a 30-degree angle for better access and positioning, the opposing twin blades make a clean, even cut through insulated and non-insulated wire in solid, stranded, or braided forms. The combination of extra long handles and a rivet positioned closer to the blades delivers loads of leverage and cutting power for harder materials in heavier gauges. For superior performance and a long life, blades are ground to a keen edge and hardened by an induction heat treating process. Slim, comfortable, nonslip grips are easy to handle and won't get in your way. Bulldog, forged blade, aviation Snip, forged Glide tech blades provide long cutting life with sharpest blades, threaded thru pivot bolt keeps blades in alignment, optimal 40 serrations per inch, great for trim cuts, cuts up to 18 gauge cold rolled sheet steel, cut length of 7/8", kush'n power grips provide solid grip with soft feel, performs superior to ASME performance requirements. If you use a hammer, board, and pliers to bend metal on site, you're doing it wrong! For the contractor in you, use the ABN 3" Inch Straight Metal Hand Seamer for small flashing details - it will make the job significantly easier. The ABN 3" Inch Straight Metal Hand Seamer is a toolbox essential for those who work with metal. 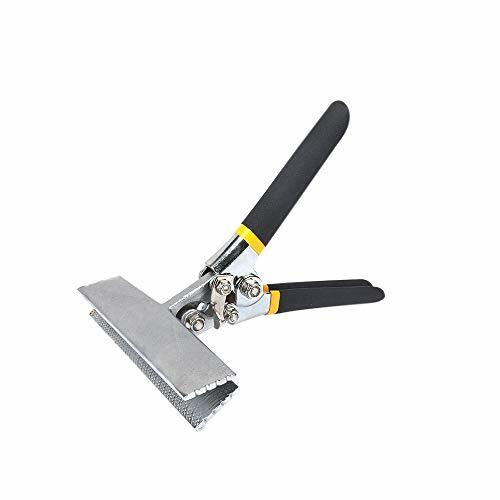 Ideal for construction projects such as roofing, siding, and HVACR (Heating Ventilation Air Conditioning and Refrigeration), this tool grips metal evenly and makes bends right where you need them. It is designed with a 3-inch span for a high range of operation and power and has strengthened rivets to adjust pressure per your needs. The dual layer handles feature non-slip grips and overall strength for heavy-duty cuts and bends. This tool give you great control and efficiency. Add the ABN 3" Inch Straight Metal Hand Seamer to your tool belt for your next metal-working project and get the job done right. Don't forget to check out the ABN 3" Inch Offset Metal Hand Seamer, as well. WARNING: This product can expose you to chemicals which is [are] known to the State of California to cause cancer and birth defects or other reproductive harm. For more information go to www.P65Warnings.ca.gov. This IRWIN Flat-Blade Snip Tool cuts up to 20-gauge cold-roll steel and 22-gauge stainless-steel. 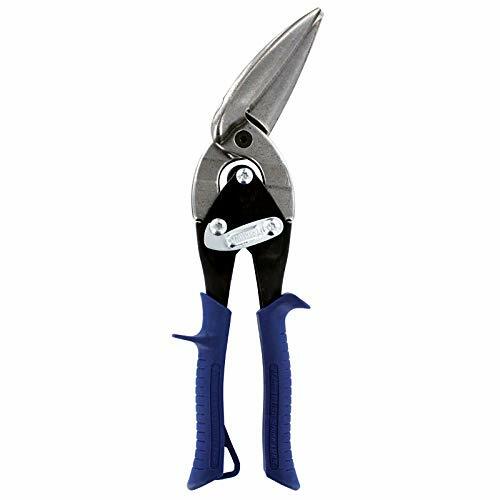 The precision-ground edges on these tin snips ensure a tight grip on each cut for superior cutting quality, and their hot, drop-forged steel blades provide maximum strength and long life. 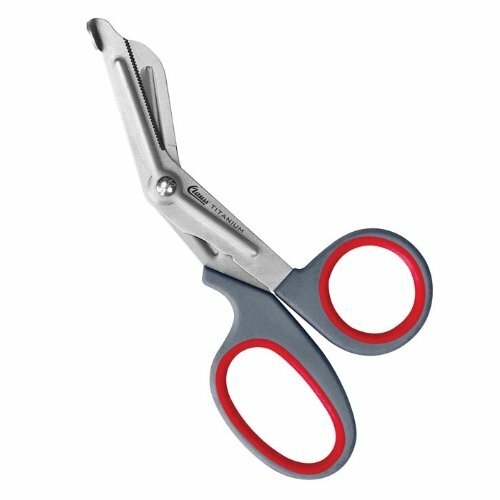 Cut straight and wide curves with the flat-blade design of these snips. Warranty: All M-D products are warranted to be free from defects in material and workmanship. Our liability is limited to our sale price of any products proved to be defective or, at option, to the replacement of such products. This IRWIN Multipurpose Snip Tool cuts up to 24-gauge cold-roll steel and 26-gauge stainless-steel. 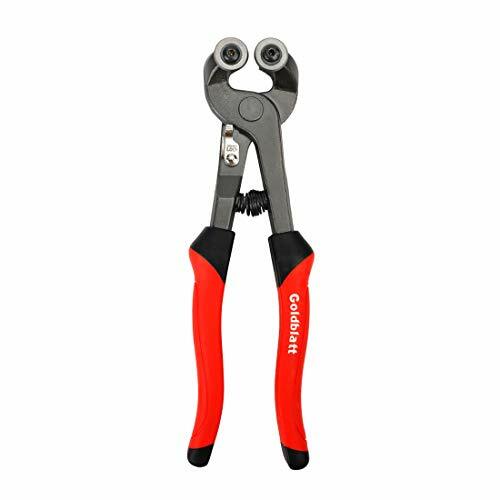 The precision-ground edges on these tin snips ensure a tight grip on each cut for superior cutting quality, and their hot, drop-forged steel blades provide maximum strength and long life. 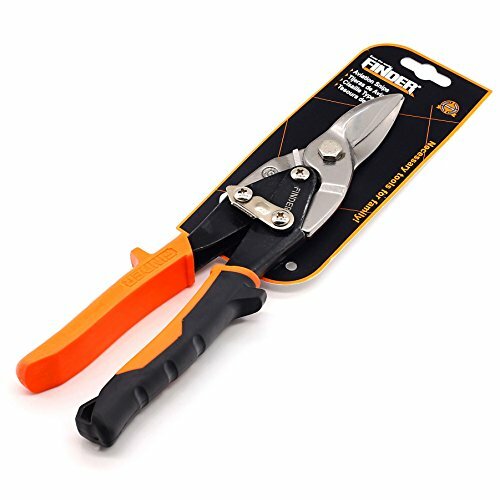 Cut straight and wide curves with the multipurpose blade design of these snips. 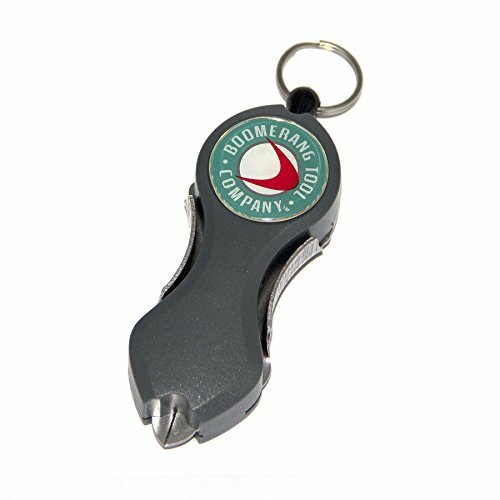 Go2 Outfitters brings you "The Snip" which offers anglers an effective alternative to awkward, easily misplaced cutting tools like scissors or nail clippers. Compact, lightweight, yet extremely durable, it features precise, corrosion-resistant Grade 420 stainless steel blades that slice through monofilament, fluorocarbon, and even braid, like butter. This unique tool delivers more than a clean, smooth cut every time. The Snip offers a level of convenience and ease-of-use that other line-cutting tools can't match. This patent-pending, spring-loaded retractable "leash" allows The Snip to be attached anywhere on your boat or on your person and extend a full 36" for duty. You'll never have to search around for your cutting tool again, and since The Snip is always secured, there's no chance of losing it overboard. When you're finished cutting, just squeeze the aluminum handles on the side of the casing to lock the blades in safe mode and let go. The Snip will automatically return to its original position ready for use whenever you need it. The Snip is extremely rugged and dependable too. It's built to ward off rust and withstand repeated use in the toughest freshwater and saltwater environments. The Snip is backed up by a one-year warranty from Boomerang Tools Co.
Cut copper, aluminum, steel, and piano wire with the TEKTON 8 in. 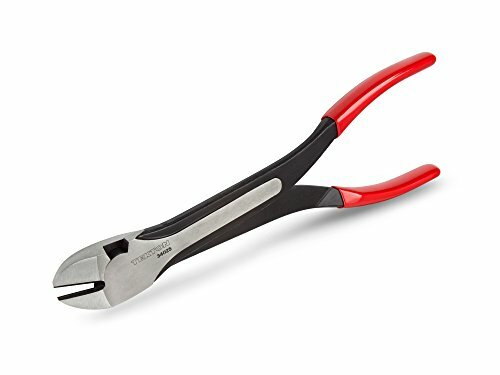 End Cutting Pliers. Opposing twin blades make clean, even cuts through insulated and non-insulated wire in solid, stranded, or braided forms. For superior performance and a long life, the blades are ground to a keen edge and hardened by an induction heat-treating process. Slim, comfortable, nonslip grips are easy to handle and won't get in your way. Corona Long Straight Snips are primarily used for harvesting and field-dressing grapes, apples, pitted fruits and berries. Forged with high quailty stainless steel and classically designed, these snips deliver superior performance and relability for many agricultural needs. Founded in the early 1920s, Corona is a leader in the marketing and manufacturing of professional and consumer tools for the lawn and garden, landscape, irrigation, construction and agriculture markets. With a retail and distribution network that extends throughout the United States and Canada, Corona s proven designs, quality manufacturing processes and unparalleled customer service make it the best choice in tools for contractors, agricultural professionals and avid gardeners alike. Limited lifetime warranty. CORROSION-RESISTANT STAINLESS STEEL BLADE: Prevents rusting and is easier to clean while reducing germ build-up. UNOBTRUSIVE LEATHER STRAP LOCK: Keeps the blades closed for safety when not in use. STAINLESS STEEL BLADES FOR DURABILITY: Tool will stay sharp season after season. Cut porcelain, ceramic and other tile quickly and expertly with the ABN Tile & Mosaic Nipper, Cutter Pliers with Carbide Trimming Tips. This compact, 8-inch tool can easily cut tile up to 1/2" in thickness. 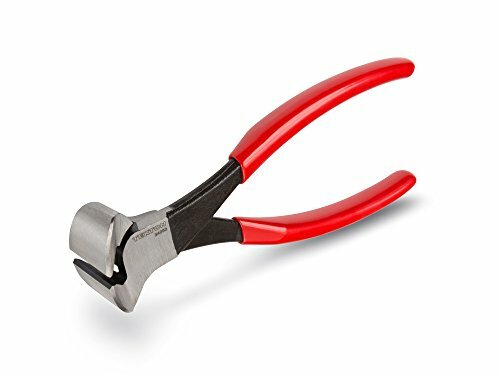 Make custom and irregular cuts with these large, straight carbide-tipped nipping pliers. Strong, quality construction will stand up to the toughest wear and tear while the rubber covered handles ensure a no-slip, comfortable grip while using. Perfect for custom jobs, corners, tiling, and mosaics, use these for your home improvement projects in the kitchen, bathroom, workplace and beyond. WARNING: This product can expose you to chemicals which is [are] known to the State of California to cause cancer and birth defects or other reproductive harm. For more information go to www.P65Warnings.ca.gov. 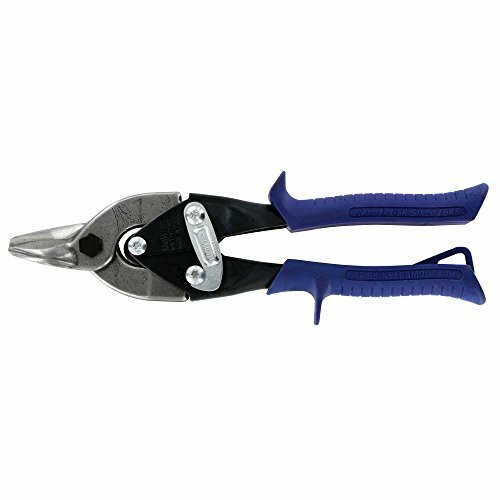 Adopt stainless steel cutter head, strong shearing, anti-rust, and endurable. Safety Lock - easy open/close lock for convenient security system. Serrated cutting edges prevent materials from slipping during use. Ergonomic designed PVC handle, comfortable grip. Compound leverage multiplies handle force to cutting blades by 8:1 for significantly less fatigue. 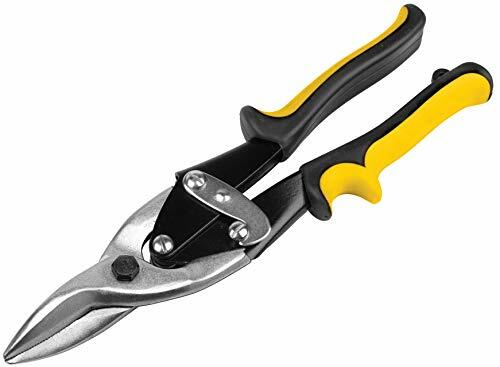 Ideal snips for cutting aluminum, vinyl siding, screening, cardboard, leather and copper. Ideal for cutting hard material: aluminum, sheet metal, leather, floor covering, card board and plastic. Designed for use with either hand, the versatile TEKTON 8 in. Straight Pattern Tin Snips makes straight cuts or wide, curving cuts to the left or right. With a 1-3/4 in. cut length, they can handle up to 24 gauge cold rolled steel or 28 gauge stainless steel. For smooth, consistent performance and longer service life, cutting edges are precisely ground and hardened with a high-frequency process. Soft, two-layer, non-slip grips ease hand stress letting you comfortably exert more force and work longer without fatigue. 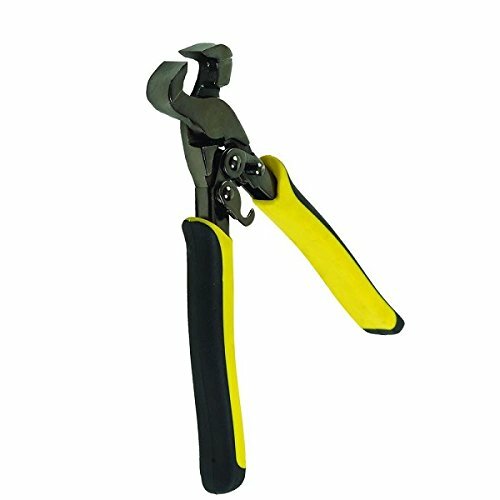 Made from high-strength forged and heat treated carbon steel, these snips meet or exceed all related ANSI/ASME standards. Clauss Titanium Bonded Bent Snips, 7"
7 1/4" overall. Bent design with titanium bonded serrated blades. Ergonomic gray and red comfort grip nylon handles. Ideal for cutting wire, rope, leather and metal. Hang packaged.